You can force users to Jibble In/Out from a specific location (geofence) by using the Geolocation Power-Up combined with Policies. Before you get started, make sure that you have enabled both the Geolocation (and optionally) the Policies Power-Up. Login to app.jibble.io and go to Settings > Locations and click "Add Location". Give your location a name e.g. "London Headquarters". Make sure to fill in the address and hit "search". Double check if the marker pointed out your location on the map. If not you can move the marker. 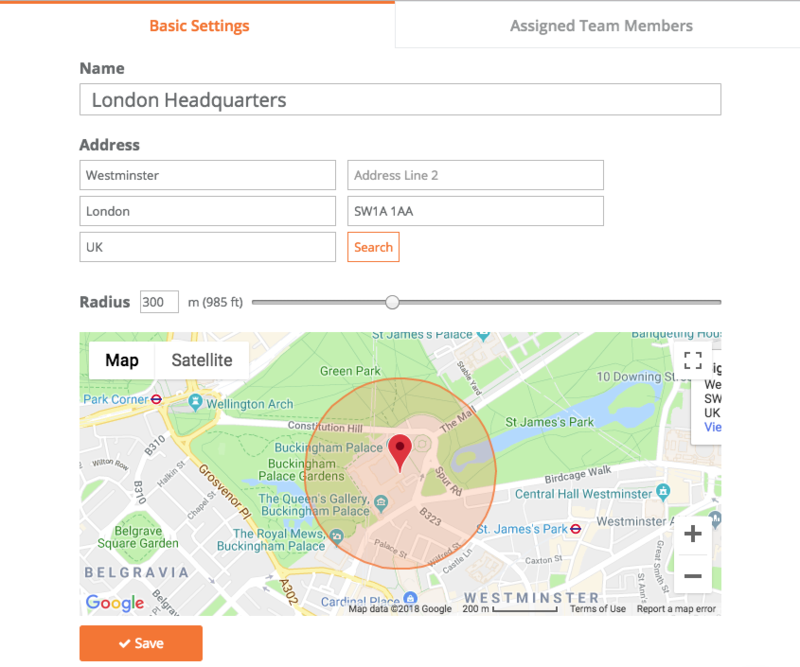 Set the range that your employees need to be in to be able to Jibble In/Out. It is advised to be at least 20m due to GPS inaccuracy and the circle should easily cover the location premises. Go to the "Assigned Team members" tab and select the team members that are allowed to work at this location. Don't forget to hit save. You can restrict your team members from jibbling In/Out from any other location than the one assigned to them. 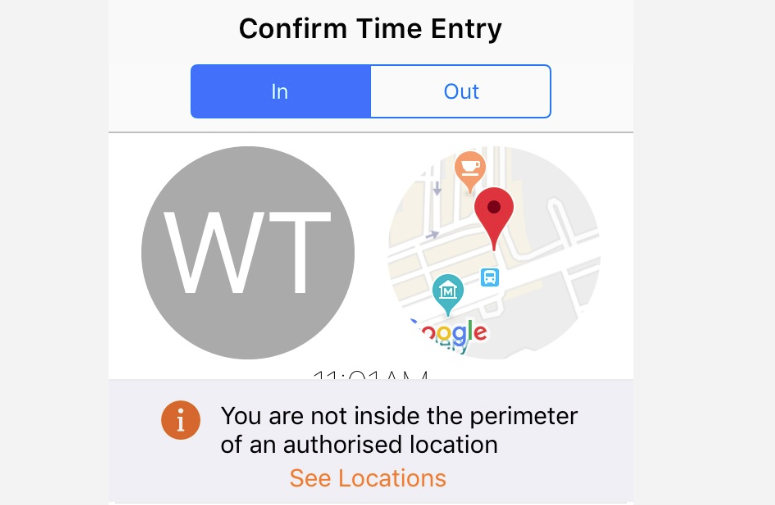 Go to Settings > Policies and ensure that the field "Require team members to Jibble In/Out of an authorised location" is set to "Required"
IMPORTANT NOTE: If you don't enforce the policy then your staff will receive a warning on their mobile only but will STILL be able to jibble in/out.